I wasn't originally going to post anything regarding my trip to Seattle this past week since it was actually unplanned. My 93 year old Grandpa and Uncle needed some help selling one of their houses so my parents flew in from Japan and I went up last minute to assist. Amidst all the moving and selling furniture on Craigslist, my parents and I managed to slip away for a fun day in downtown Seattle. 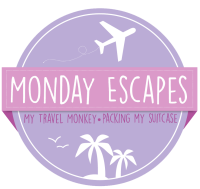 I figured I listed everything I had to on my post from last year for things to do in Seattle (click here for Seattle Part I) but we went to enough new places I thought I would share! Pier - I love the Seattle Pier. It's not one thing in particular but the plethora of things you can do, find and eat there. Sure, it's not as magnificent as the Chicago Navy Pier or the Santa Monica Pier but it's impressive considering the small size of it. I highly recommend visiting during the summer, though. Even in May on a sunny day, a lot of stores were closed. A new-ish addition to the Pier has been the Great Wheel, a ferris wheel that makes you feel like you're floating over the water. 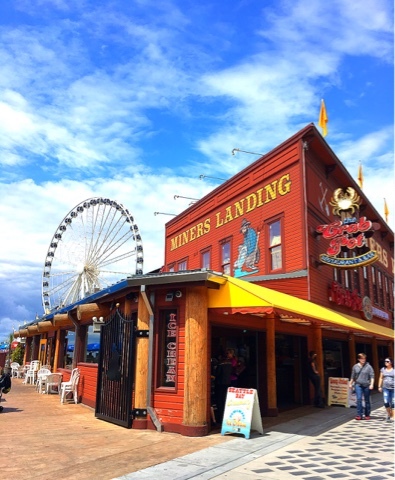 In my opinion, it's a bit pricey just for a ride on a small ferris wheel but I can see why they have to do that since they're only making money on sunny days...which of course is not that many in Seattle. 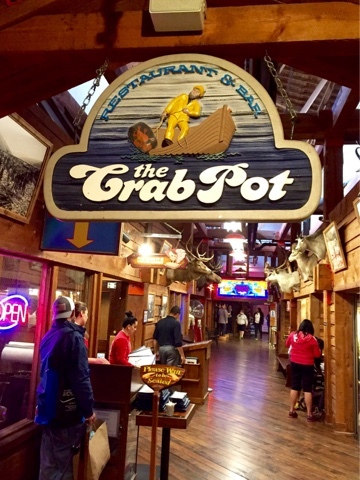 Crab Pot - Speaking of the Pier, one of the most popular spots to eat is the Crab Pot. During the busier days, the wait can be upwards of 2 hours! 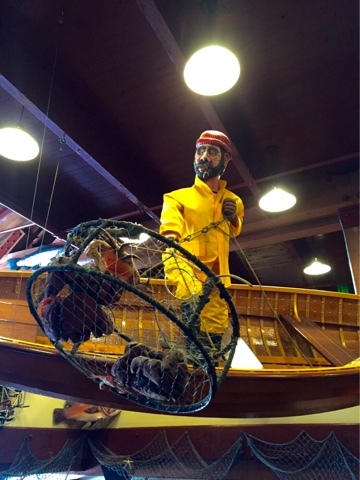 While the menu is pretty diverse, their signature items are their "Seafests". 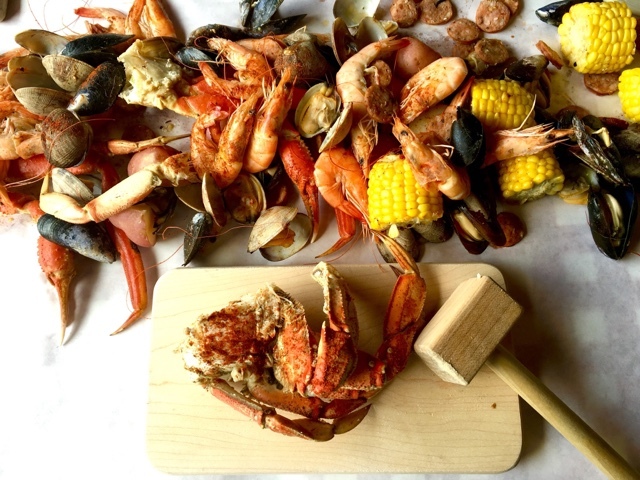 The prices differ depending on what type of seafood is included; for example, something without crab legs are the cheapest but includes shrimp, clams, red potatoes and andouille sausages. If it includes dungeness crab, it's much more expensive. 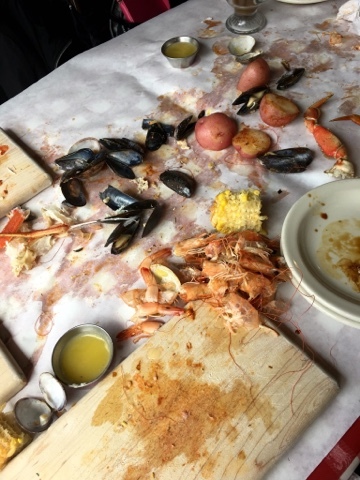 They lay a sheet of paper on your table, give you a board and a hammer and dumps a huge bowl of seafood across the paper. You wear a bib like a baby and go to town with your hands and hammer! No, the seafood isn't the best seafood I've ever had but it's decent. You're definitely paying for the experience. I had such a blast with my parents! Just for reference, we ordered 2 Seafests between 3 people and it was more than enough! Gum Wall - It's self-explanatory but it's a wall in downtown Seattle, hidden under the Pike Place Market. 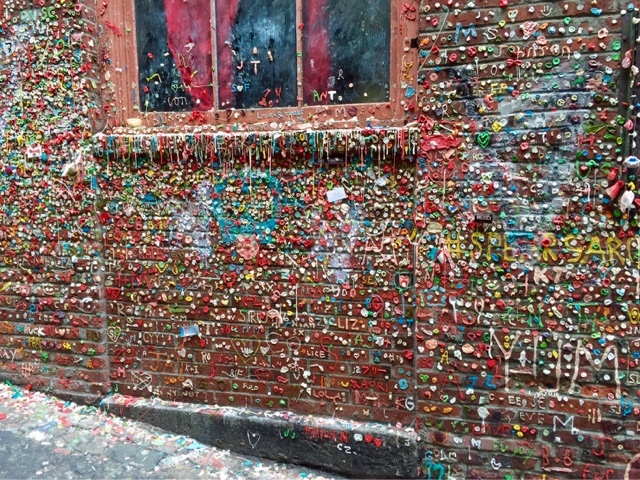 The red-brick wall is full of gum and is quite the tourist attraction. Even though I did my undergrad in Seattle, I had never cared to visit. But for some reason, I decided I would after I overheard some people talking about it during lunch. People were there chewing gum just so they can add to the landmark. 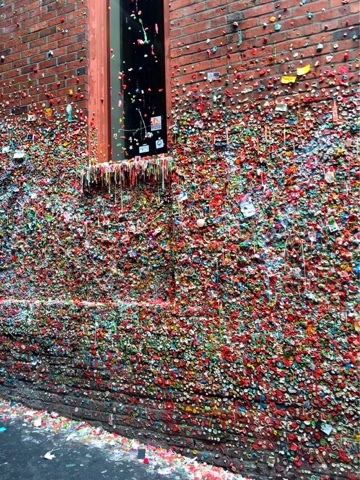 A Pike Place worker told me that they had cleaned it off a few weeks ago but you could never tell, since it's completely covered in gum already! 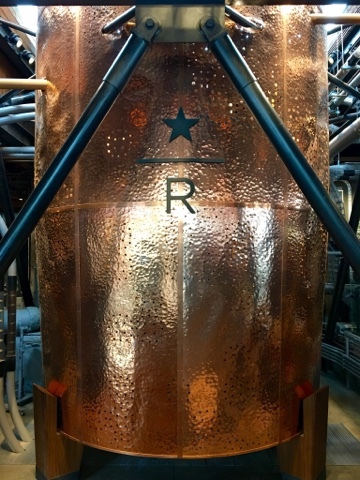 Starbucks Reserve Roastery & Tasting Room - If you're a coffee lover like me, you would appreciate this. Even if you're not, you'll still be impressed by this place! 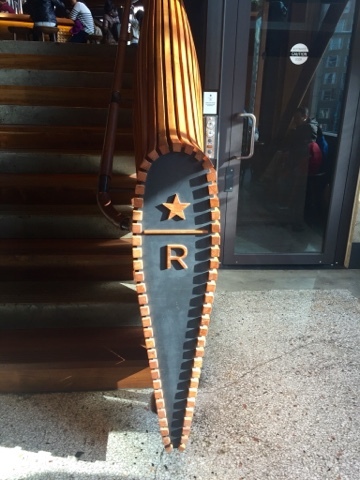 Yes, the 1st Starbucks Store is a fun visit but I think this is the new cool spot to see. 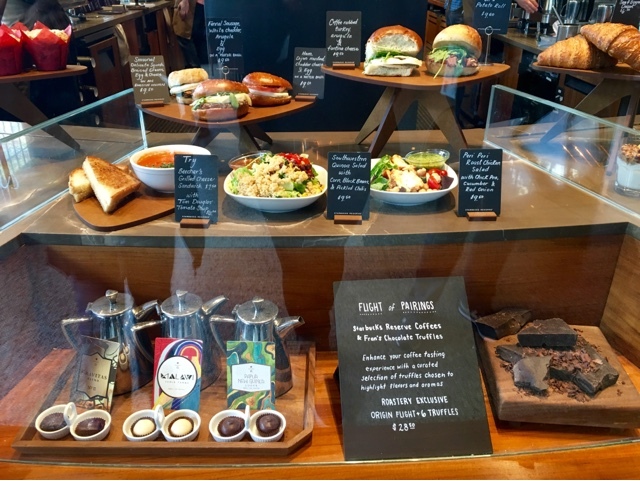 If you're not familiar with the Starbucks Reserve brand, it's Starbucks coffee but better (in my opinion). They make smaller amounts of it and not distributed everywhere. 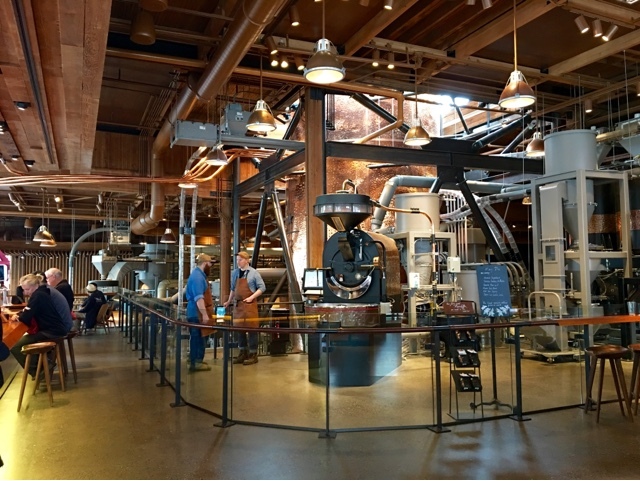 The Starbucks Reserve Roastery & Tasting Room is new and is located on the outskirt of downtown Seattle, about a 15 minute walk from the main shopping areas. 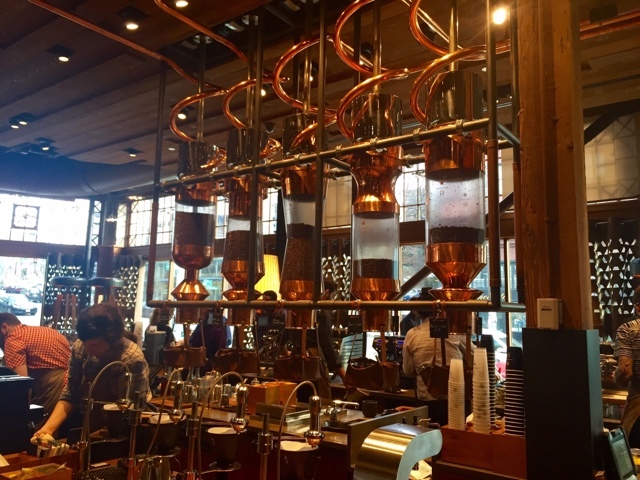 It's a large, beautiful space full of dark wood, stunning copper and aroma of freshly brewed coffee. 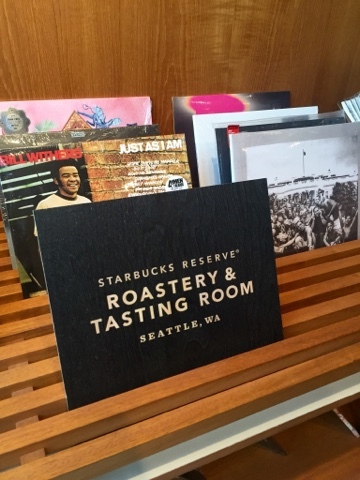 One part of the store sells coffee beans and some paraphernalia of the Reserve brand. 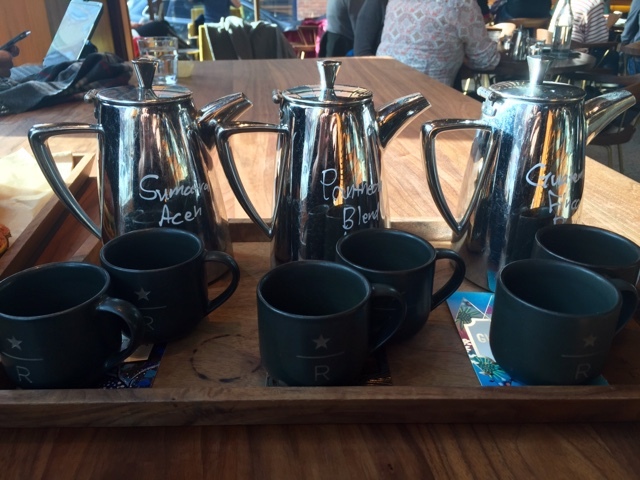 Another part is where you can order special, Roastery-exclusive drinks, tasting flights and food. 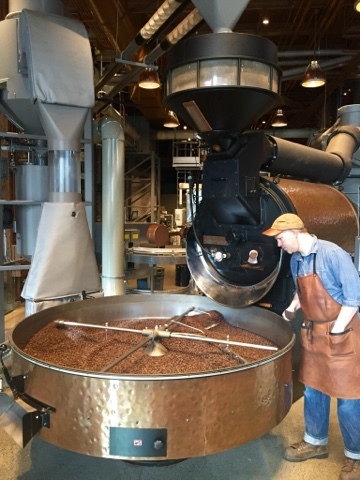 The rest is an actual roastery where you can see the entire process of how they roast their beans in action. Such a fun place, I highly recommend a visit. 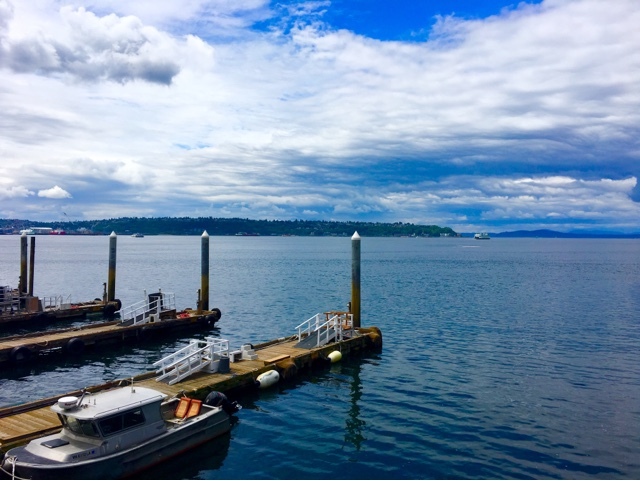 I hope you enjoyed this short but sweet list of things to do in Seattle! For a much longer list, click here for my first Seattle post! Love it! Increases my desire to visit Seattle. The Crab Pot looks delicious. 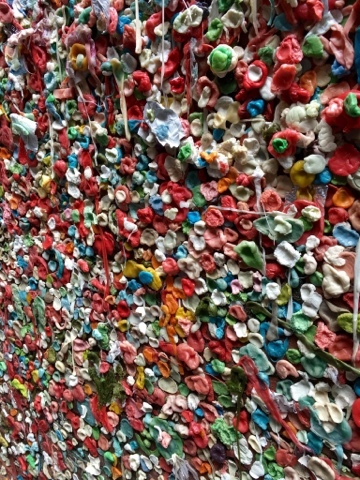 That bubble gum wall is crazy (and yucky!). Have you been to the one in San Luis Obispo. 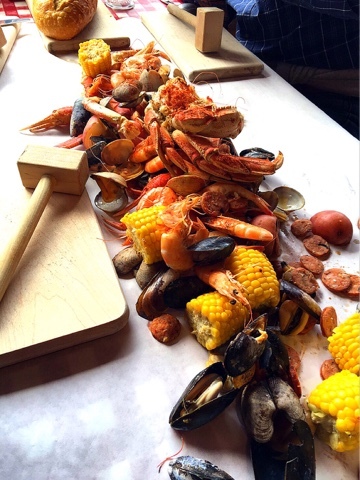 I'd love to visit Seattle (although I don't eat sea food)! I'm sure there is so much to see and do in this city. Seattle sounds and looks sooo cool! A friend of mine often goes there as she has family living in town, and because of this I now feel so tempted to go there someday! Your photos are soo nice and colourful, I love them! !